Chances are you are like the billions of users addicted to ‘WhatsApp’ style of keeping in touch. Wouldn’t you like to explore what went behind making this phenomenon happen? In 1992 Jan Koum and his mother, hoping to find a better future decided to immigrate to the United States. When they arrived, a government subsidy helped them get food stamps and an apartment. Jan worked as a cleaner at a grocery store and his mother as a babysitter. Jan knew he wanted to learn to program. It was stressful working and going to school at San Jose State at the same time. Jan quickly discovered that he hated school. He dropped out. In 1997 Jan met his future business partner Brian while working at Yahoo as an engineer. 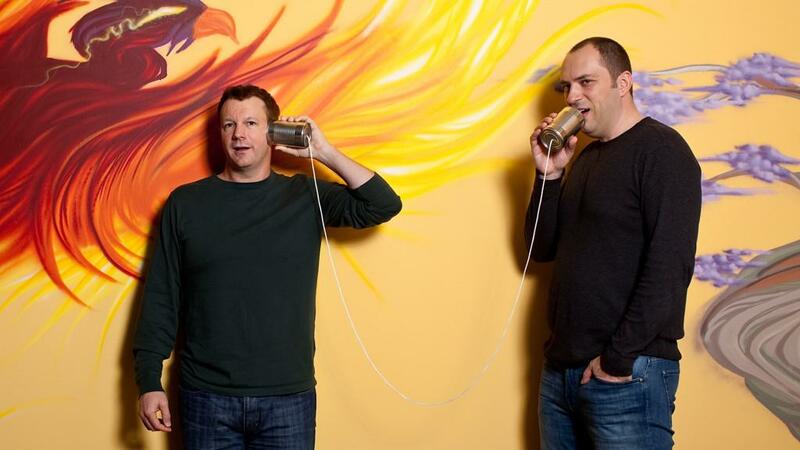 They worked together in Yahoo for almost nine years and then left the company together. Then they applied to Facebook, but were turned down. They weren’t sure what to do next. They took a year off, travelling around South America to refresh their minds. But no ideas really came to mind. Then in January 2009, he bought an iPhone and realized that the seven-month old App Store was about to spawn a whole new industry of apps. He started thinking about building an app. They had thought of making an app for iPhone users. They then created the app which received tremendous success in a short time. This was because the users found it pretty easy to use and they did not have to register anywhere in order to use the application. This was the dream come true for both the partners. The main aim of the app was to provide a simple interface to the users enabling them to stay in contact with their loved ones. The Brand name evolved naturally from the concept of ‘What’s up?’. WhatsApp grew by leaps and bounds having more than a billion users. WhatsApp is now bought over and owned by Facebook and this made both the partners, Jan and Brian billionaires and stars of the technology world. Oh what a success story which happens only once in a lifetime and only the chosen ones can write such a story!